Steering Committee Mayor Andy Berke of Chattanooga, TN, gave his resounding support for the Strong Cities Network at the winter meeting of the U.S. Conference of Mayors last month. 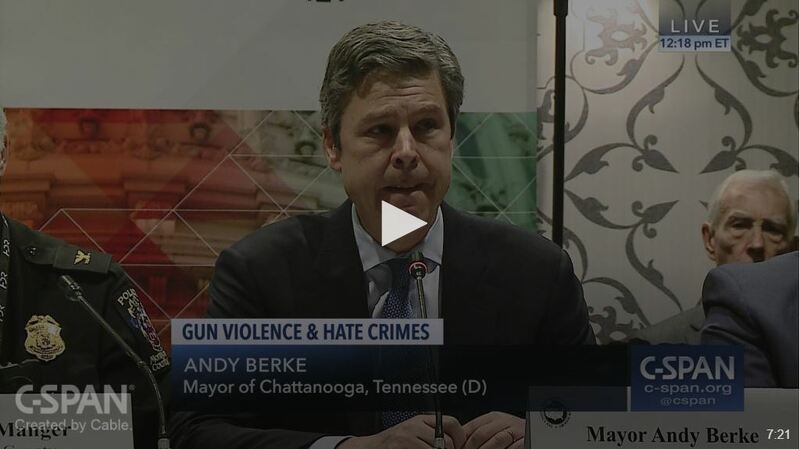 In a session devoted to the discussion of gun violence and hate crimes, mayors from Annapolis, Maryland, Parkland, Florida, Charleston, South Carolina, Pittsburgh and Chattanooga shared stories about the mass shootings associated with hate crimes in their cities. 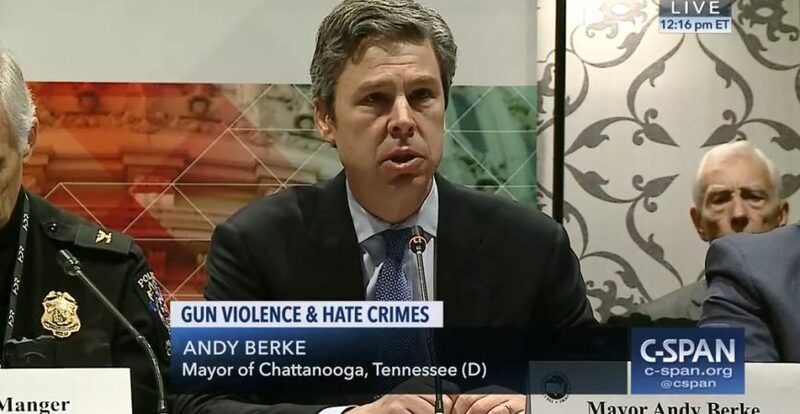 Mayor Berke spoke of an extremist attack in 2015 in which five people were killed and two were injured when an individual opened fire on two military installations in Chattanooga. The inaugural meeting of the Mayor’s Council Against Extremism & Hate (CAEH) took place in October 2018. In a letter addressed to the Times Free Press in December, Mayor Berke outlines his motivation and vision for the CAEH. ‘Hate is on the rise in our country — and here in Tennessee. As of a couple of years ago, the FBI ranked Tennessee ninth in total number of hate crimes in the United States. Earlier this year, the Southern Poverty Law Center counted 37 active hate groups at work in our state. We see the spread of those toxic ideologies everywhere, from increased vandalism on our schools and houses of worship, to neo-Nazis marching on our state capitols and college campuses, to the widespread rise of bullying among adolescents on social media. It is easy to become numb to the violence in our midst, or perhaps worse, resigned to feeling that nothing can be done. Is this the new normal in America? I refuse to accept that. My family came to America a century ago fleeing persecution because this country offered a promise of prosperity, hope and peace unlike any other on earth. We owe it to our ancestors and future generations of refugees to keep that promise alive. Hate speech and violent extremism are global problems, but I believe the solutions begin at the local level. That’s what Chattanooga’s new Council Against Hate is all about. While law enforcement agencies work tirelessly to keep the public safe from violence, a city of creators will look for new ways to combat hatred by building relationships in every corner of our community. The Council Against Hate is open to everyone as we must unite to make an affirmative statement about the kind of city we are: open, tolerant and profoundly aware that diversity forms the core of our economic and cultural strength.